Top HR Interview Question - Tell Me About Yourself?? Do you know why this question is asked so often in most job interviews? This question is actually an ice-breaker. Asking this question starts the conversion. So you should better be ready with an answer. This question gives the interviewer a chance to know about the interviewee. Once you start talking about yourself, interviewer starts preparing his/her next question. So there are high chances that the next question that would be fired on you will be based on the answer of this question. As the answer for this will be based on you, you think and prepare it before the interview. While preparing for the answer consider including following points. Tell them your name and which place you are from. Suppose you are “Mike Creamer”, then do not start with “Myself Mike Creamer”; start with “I am Mike Creamer”. This is a very common mistake. Not acceptable in interviews especially in call center jobs. You may talk about your family (cover up in short); you may talk about your how you came to the city, etc. Tell them about your education i.e. graduation/post-graduation. If you are a fresher then tell them the grades you got. If you have done something different than others then tell them. It surely adds a value! Talk about your whole experience. Start from early years and gradually come to recent years. If you have a long experience then you must not be doing same thing all years. Then exactly what you were doing? This is what your interviewer wants to listen. If you are a fresher then talk about your projects. 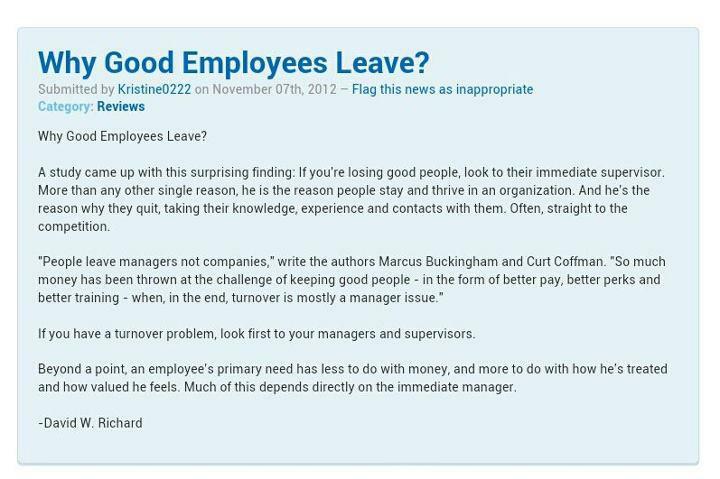 This is of most interest to your interviewer. You may be having lot of experience but how much experience you have regarding current job post is very important. If you do not have it then you can talk about some related experience. Or if you do not have related experience too then say it clearly. Buy along with it give them confidence that you can do it and you have genuine interest to do it. 5. Do not describe your salary or pay scale at this point of time (unless explicitly asked). 6. Avoid giving unnecessary details. Value your interviewer’s time. 7. The idle answer should not last more than 1 minute. In Named and Optional Parameters, article illustrates about the named and optional parameters. In this article I am extending this article to differentiate between parameters ,arguments and more about optional parameters. The parameter is a variable which is the part of the method, however argument is the variable which invoke in the place of parameter. When this method is called then argument is passed. Ref or out modifiers not allowed. Paramsarray is not allowed as optional, and must be the last parameter. Optional parameters must be written after required parameters. Default value of optional parameter must be a Compile-time constant. Google Maps in asp.net website with dynamic addresses from database. An ASP.NET hidden control is used to store the address of the location obtained from the database. Value to "hdnAddress" can be assigned from server side or client side as per the functionality of the page. Following "div" element is added on the page to display the map on the webpage. Size of the div with id "map_canvas" can be altered by changing the "height" and "width" attributes of the div element. Note - Please provide your feedback and let me know if there is any problem with above code. With the introduction of C# 4.0, named and optional parameters have been included in the language. They can be used to enhance the readability of source code and simplify some calls by specifying which parameters the argument values refer to. Named parameters enable us to specify an argument for a particular parameter by associating the argument with the parameter's name rather than with the parameter's position in the parameter list. Optional parameters enable us to omit arguments for some parameters. Both techniques can be used with methods, indexers, constructors, and delegates.With named and optional parameters, the arguments are evaluated in the order in which they appear in the argument list, not the parameter list. Named and optional parameters, when used together, enable us to supply arguments for only a few parameters from a list of optional parameters. This capability greatly facilitates calls to COM interfaces such as the Microsoft Office Automation APIs. It calls the Volume method by sending arguments in order of position of arguments. It calls the Volume method by sending arguments with named parameters. We can mix named and unnamed arguments in a call as long as all of the unnamed arguments appear before any named ones. The unnamed arguments will be applied in the order that they appear in the method’s signature. Each optional parameter has a default value as part of its definition. If no argument is sent for that parameter, the default value is used. IntelliSense uses brackets to indicate optional parameters. To integrate Google Checkout on ASP.NET. For a sneak peek into RESTful services API - What is REST? For a sneak peek into RESTful services API. LPU received the Shiksha Ratan award for "UMS"
Lovely Professional University received the Shiksha Ratan award for best IT initiative in Higher Education through its unique product named "University Management System". 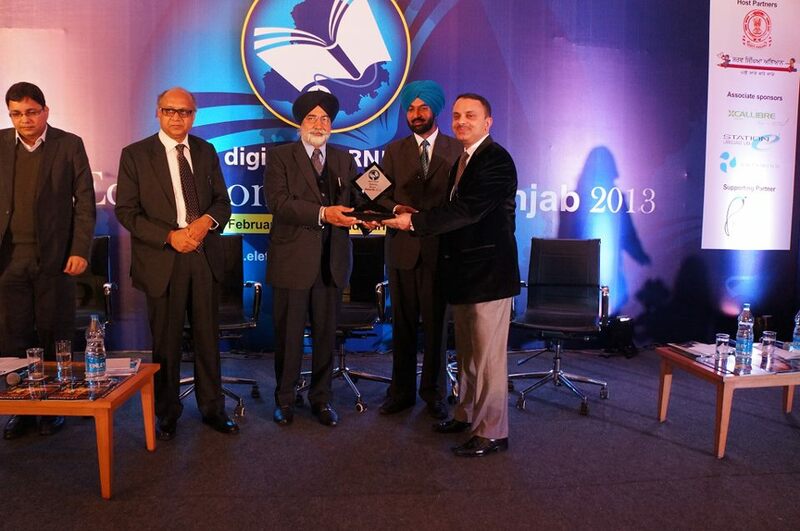 Mr. Rohit Dhand, Additional Dean - Infotech Division receiving the prestigious Shiksha Ratan Award. Embedding Google Map in website with dynamic address from database. 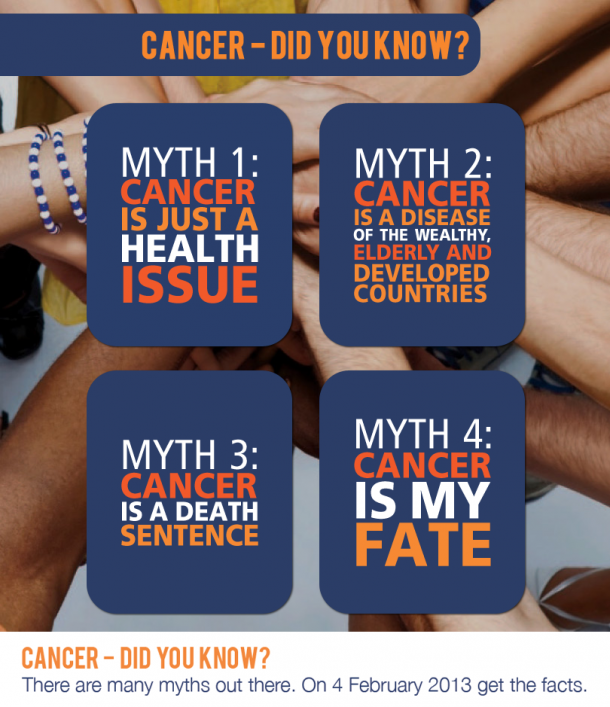 World Cancer Day 2013 (4 February 2013) will focus on: Dispel damaging myths and misconceptions about cancer, under the tagline “Cancer - Did you know?”. World Cancer Day is a chance to raise our collective voices in the name of improving general knowledge around cancer and dismissing misconceptions about the disease. In addition to being in-line with our global advocacy goals, we believe these overarching myths leave a lot of flexibility for members, partners and supporters to adapt and expand on for their own needs. From a global level, we will be focusing our messaging on four myths. Learn the truth and supporting evidence, by clicking on the myths below. Advances in understanding risk and prevention, early detection and treatment have revolutionised the management of cancer leading to improved outcomes for patients. According to the American Cancer Society, tobacco use accounts for at least 30% of all cancer deaths and 87% of lung cancer deaths. “The evidence is rock solid. It’s in a category of its own,” says Sara Hiom, director at Cancer Research UK. So if you want to reduce your cancer risk – stub out that cigarette today. A large European study, carried out by researchers from the German Institute of Human Nutrition in Potsdam-Rehbruecke looked at how current and former alcohol consumption related to the development of cancer in more than 350,000 people from eight countries. The researchers extrapolated the results to the general population and estimated that, across Europe, 10% of all cancers in men and 3% of all cancers in women could be attributed to alcohol consumption. “There is very strong evidence that all types of alcoholic drinks increase the risk of a number of cancers,” says Kate Mendoza from World Cancer Research Fund but there is no need to abstain completely – just cut down if you are drinking a lot. “We recommend limiting intake to two units a day,” says Mendoza. Red meat could be a contributor to cancer – especially bowel cancer. “There is evidence to suggest a link,” Hiom says. One possible reason for this is that the compound that gives red meat its colour, haem, may damage the lining of the bowel. People eating 160g a day increase their bowel cancer risk by a third, compared to those who eat 20g a day – just don’t cut it out altogether as it is a good source of nutrients including protein, iron and zinc. In 2011 the IARC (International Agency on Research on Cancer) declared that mobile phone use is a possible carcinogen (any substance that is an agent directly involved in causing cancer). Shortly afterwards, the Institute of Cancer Research claimed the evidence was increasingly against a link. “The studies are all over the place,” American Cancer Society's medical officer Dr Len Lichtenfeld admits - so there is no need to get rid of your handset just yet. “Right now, most of us think that the evidence shows that coffee does not cause cancer. But it is still on the IARC list,” says Lichtenfeld. In fact, earlier last year, researchers from the US National Cancer Institute and Imperial College, London found that those who drank four to five cups of coffee (caffeinated or decaffeinated) a day reduced risk of developing bowel cancer by 15%. However, the researchers did recommend that further investigation into the link is needed, including study of the specific chemicals in coffee that could be having an effect. In this article, I am going to explain ASP.Net Data control "GridView" and various methods to perform operations like "Add","Edit","Delete" and "Update" on the data displayed in the GridView rows. We will be using a Category Table from a local database to demonstrate the above features. Any table with any structure can be used with GridView. Data in the GridView can be bound in a number of ways using design as well as from code behind. Step 3 : Click "Advanced" button and check "Generate Insert, Update and Delete Statements"
<asp:SqlDataSource ID="sqlDsListing" runat="server" ConnectionString="<%$ ConnectionStrings:ListingConnectionString %>"
DeleteCommand="DELETE FROM [Category] WHERE [Id] = @Id" InsertCommand="INSERT INTO [Category] ([Name]) VALUES (@Name)"
<asp:GridView ID="gdvListing" runat="server" AllowPaging="True" AllowSorting="True"
<asp:BoundField DataField="Id" HeaderText="Id" InsertVisible="False" ReadOnly="True"
Please note the properties of GridView in bold text. Above code will automatically handle the "Edit", "Delete" and "Update" operations without any code in the code behind file. The resultant page will look like above in the browser. Code Behind Mode - Add following code snippet to bind the data into GridView in code behind file. using (SqlConnection conn = new SqlConnection(ConfigurationManager. Add reference of following namespaces in the "using" section of the file. Currently we are using "BoundField" to display data in GridView. But if I need to customize the display of columns or add validations while Editing, then we need to use "TemplateField". In the following section, I will describe TemplateField, ItemTemplate, and EditItemTemplate. EditItemTemplate- Content to be displayed in TemplateField in Edit mode. Another reason of using TemplateField instead of BoundField is that, it is very easy to grab those controls in the codebehind if we user labels or textboxes. In case of the bound field’s we need to check what column it is and need to use index of that cloumn, which is little hard and even in future if we change the column order we have to change the code too. <asp:GridView ID="gdvListing" runat="server" AllowPaging="True" AllowSorting="True" ShowFooter="true"
In the above code snippet as you see GridViewEditEventArgs will give the row number whatever you are editing by NewEditIndex property. So GridView will put the appropriate row into the Edit Mode by assigning row number to its EditIndex property. Then again we have to call that BindGridView() method to bind data for the textboxes. When "Edit" button is fired, Edit template of button column displays "Update" and Cancel" buttons. There is one more method to handle all the above events. All these operations can be handled in "gdvListing_RowCommand" by using different "CommandName" for each button. e.g.